I was so happy that they sent her to be bred to Frankel. Big fan of both of them, so I am hoping they produce something special. 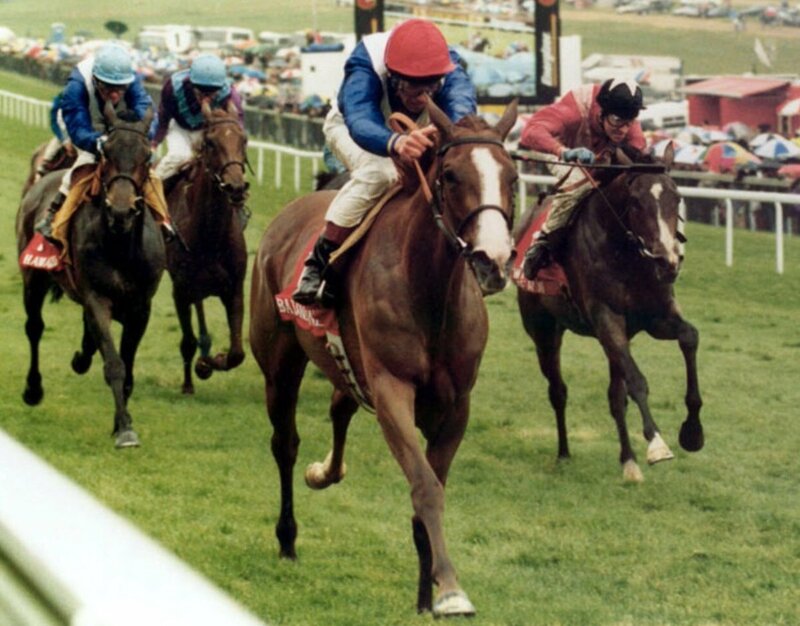 This is more of a broodmare question (I already checked Pedigree Query & there's nothing) - is there a way to find out if the 1991 mare Melrose Wine (Desert Wine x Melrose Nugget) was ever bred to Devil's Bag & produced a bay colt? PQ shows she was bred to Devil His Due but that's not the foal I'm looking for. lurkey mclurker wrote: This is more of a broodmare question (I already checked Pedigree Query & there's nothing) - is there a way to find out if the 1991 mare Melrose Wine (Desert Wine x Melrose Nugget) was ever bred to Devil's Bag & produced a bay colt? You can go to Equineline and pull a mare produce record for $1. Omgosh thank you Flanders! That was him. : )))) I wasn't sure if he was ever registered (I knew he never raced, if you'd seen him you'd know why, he was a quintessential Baby Huey but became a wonderful lesson horse ). Thanks MM, I will know what to do if the situation ever arises again. You can also just use either of Equineline's free services, the 5 cross search, and type in a year and the dam's name. Or use their Auction results Search by putting a dam name in and setting the horse type and years to all. Last edited by Ridan_Remembered on Sun Jun 03, 2018 1:53 pm, edited 1 time in total. I added him to pedigreequery after i looked him up.